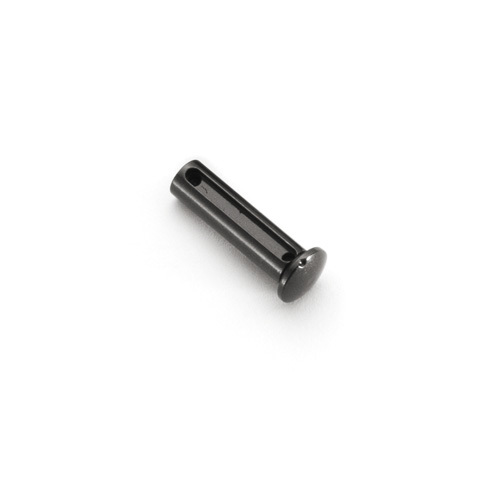 This rear takedown pin will fit any Mil-spec compatible small-frame receiver set. Select your pin size at right. In some cases, mixing and matching sizes of pins will provide the best fit for your receivers. In general, oversized pins will remove much if not all of the slack in a loose receiver set while undersized pins will help with easier takedown of overly tight receivers like those with excess finish buildup. To gauge the pin fit for your third-party receivers, you can use standard takedown pins or gauge pins. For the AR-15, Mil-spec pins are roughly equivalent to a .248 gauge pin. Oversized and undersized MicroFit Pins are offset slightly more than .001 larger or smaller.